Musings on project management: What is information? 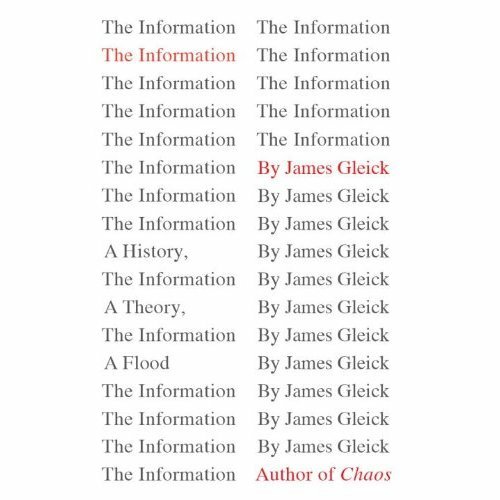 I've been intrigued by a lot of the content in the book "The Information", a tour de force through the history and development of the concept of information as told by author James Gleick. Does this bring a frowny face? It should. First: Shannon puts no attention on the meaning conveyed by the information. 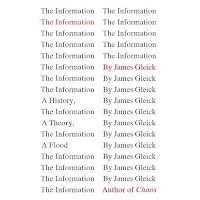 His idea of information more or less ends with the message itself. Second: I find it a little counter intuitive. There's more information content in the uncertainty of multiple choices than there is in a single point outcome. But Shannon's point is this: information is 'emitted' as uncertainty turns into certainty. It means there's little information in a single determinant outcome. Indeed Shannon's name for such an outcome is "bit", meaning one binary [yes, no] digit [or symbol] of outcome. The corollary: more choices means more bits to represent the choices, and a richer set of possibilities. Redundancy takes away from the number of independent ideas that can be put across in a given space of time, so keep the number of ideas minimum if quality counts. Counterpoint: redundancy can be boring! So, unless you have a lot of competition for your communication, and thus need the power of redundancy to get the message through, back off on repetition. So, what does this have to do with project management anyway? Well, consider executive communication, to include communication by means of a proposal. Maximum information is conveyed by showing the breadth of the choices you've evaluated and the array of dots you've considered in reaching whatever conclusions you present. Indeed, the narrative that connects the myriad dots is likely rich in information, much more so than the description of just one dot. Leave that stuff out, and you may still convey the bit of conclusion, but it's certainly not as rich as could be otherwise.